ortland neighborhoods owe their location, alignment, and growth to a splendid 19th-century innovation: the streetcar. This city still bears the imprint of the carlines that once wove their way out to suburbs in every direction, including Fulton, Portland Heights, Goose Hollow, Nob Hill, Slabtown, Willamette Heights, Albina, Saint Johns, Irvington, Rose City, Mount Tabor, Montavilla, Mount Scott, and Sellwood. As routes developed, people used them for more than just getting to work; they also discovered the recreational function of street railways while visiting friends, parks, and shopping areas farther from the center of town. The time of the trolley peaked during the 1910s. 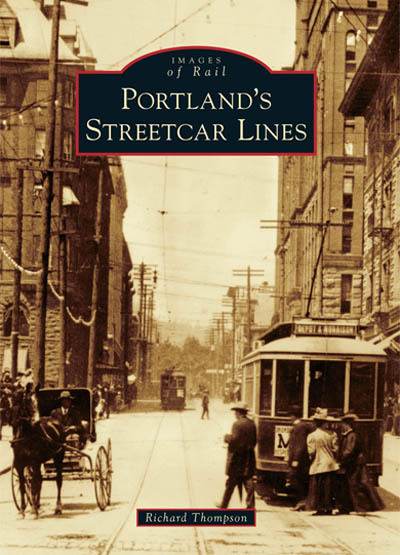 In 1927 the local street railway system entered a period of slow decline that ended in 1950, when Portland's last city streetcars gave way to buses. This is the history of those classic lines.